Football Perspectives about Financial Fair Play. 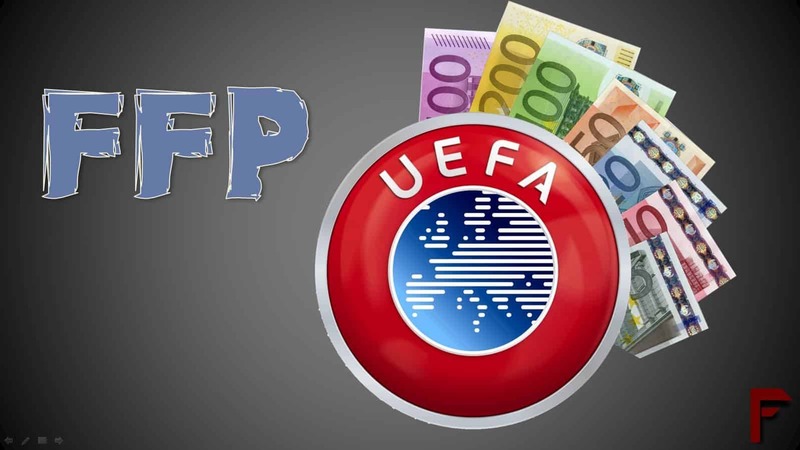 According to UEFA’s Head of Club Licensing and Financial Fair Play, Andrea Traverso, the main objective of Financial Fair Play (FFP) is “to reach financial stability, not to reach financial equality or competitive equality between clubs”. Notwithstanding this statement, it is obvious that the FFP regulations will affect “competitive balance”, a crucial indicator for the overall demand of sport which measures the quality differences between teams within a competition. Given its importance in the sports sector, the first economic studies on the effect of FFP on competitive balance have already been conducted. Sass (2012) theoretically analyzes the long-term development of competitive balance and finds that FFP reduces competitive balance since small clubs can no longer overspend and invest their way to a greater market size. Preuss et al. (2012) use game theory to find that FFP reduces competitive balance since the risk of conviction and higher costs of accounting deters small clubs from circumventing the regulations. Peeters and Szymanski (2012) simulate the impact of applying FFP to all clubs in the English Premier League. They find that traditional powerhouses such as Manchester United and Liverpool are not severely affected. Additionally, the simulation results show a significant decline in league ranking for clubs such as Manchester City and West Ham United and a significant improvement in league ranking for some clubs near the bottom of the table. Since existing studies unambiguously find that FFP reduces competitive balance, alternative instruments to FFP could be considered to reduce the problem of European clubs’ overspending. For example, Franck (2010) uses Akerlof’s metaphor of a “rat race” to propose the following three instruments. First, to redistribute the “cheese”, one could introduce revenue sharing, a common mechanism in professional US sports leagues that redistributes (gate) revenues between clubs. Second, to bring back “luck” in the game, UEFA could reintroduce the knockout format in the Champions League at the expense of the current hybrid format combining group-rounds and knockout rounds. Finally, to handicap the “rats”, leagues or governing bodies could impose a salary cap, which implies that only a fixed maximum percentage of revenues can be spent on player wages, and/or a luxury tax, which is in general a tax based on the size of the league average payroll. Many theoretical studies have investigated the effect of (gate) revenue sharing on competitive balance. In general, these studies find mixed evidence, the direction of the effect depending on various assumptions such as profit- versus win-maximization, small-market versus large-market clubs, fixed versus flexible supply of talent, etc. Second, existing studies show that competitive balance was higher in the old “European Champion Clubs’ Cup” pure knockout format than in the current Champions League format, such that a return to the pure knockout format would certainly increase competitive balance in this competition. However, the current format of the Champions League has been introduced after complaints from the larger teams that the knockout format of the European Cup favored the smaller teams while the value of this competition was dependent on the larger teams, which attract larger (television) audiences. Hence it is highly unlikely that proposals to reintroduce the knockout format would be successful. Finally, there is the alternative of imposing a salary cap or a luxury tax, two common cost control mechanisms in professional US sports leagues. While most studies find that imposing a salary cap increases competitive balance since large-market clubs would decrease their salary payments more than small-market clubs, a few studies show that imposing a salary cap reduces competitive balance since this implies eliminating increasing marginal costs of talent, which would benefit more to the large clubs. There is less controversy on the effect of imposing a luxury tax on competitive balance. In general, existing studies find that imposing a luxury tax increases competitive balance, certainly if tax proceeds are distributed uniformly among clubs. In sum, this brief review illustrates that while FFP unambiguously reduces competitive balance, this is not necessarily the case for other cost control mechanisms. In particular, the introduction of a luxury tax might be an interesting alternative instrument to consider, since this could lead to more financial stability in European football without impacting negatively on competitive balance.